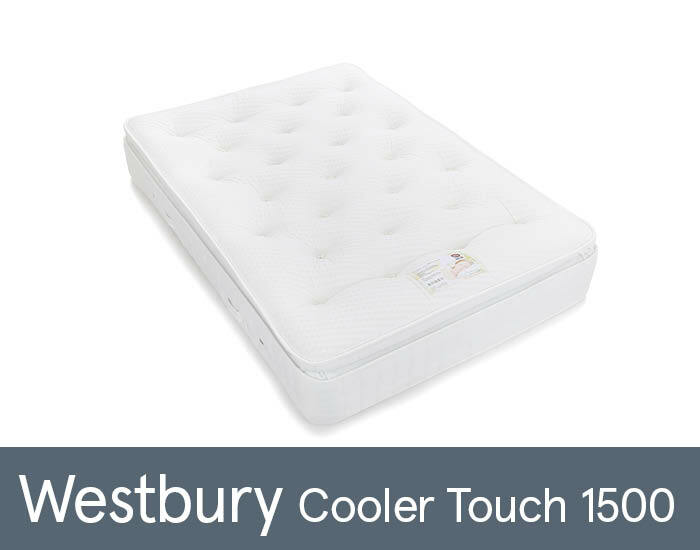 Westbury Cooler 1500 range manufactured by Sweet Dreams is Medium/Firm feel mattress with knitted top and luxury Damask cover. Pocketed springs and memory foam with cooler touch panel are ensuring the highest level of comfort for your night’s sleep. Available in all standard sizes: Single, Double, King and Super King.